Born and raised in Pittsburgh, Patrick comes from a proud union family. Patrick obtained a B.A. from Penn State University with a double major in Spanish and Sociology. 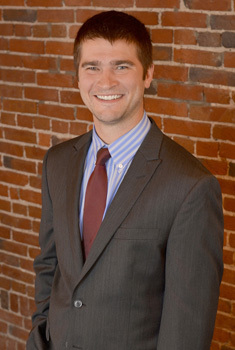 He then graduated from the University of Pittsburgh School of Law after completing a year of service with Americorps. While at Pitt, Patrick served as a Managing Editor of the University of Pittsburgh Law Review. He interned for the ACLU of Pittsburgh, the Honorable Nora Barry Fischer in the United States District Court for the Western District of Pennsylvania, and Lawyers for Human Rights in South Africa. During law school, Patrick was also a Teaching Assistant and represented clients in the unemployment compensation practicum. Prior to joining JPI, Patrick completed a judicial clerkship with the Honorable R. Stanton Wettick in the Allegheny County Court of Common Pleas Commerce and Complex Litigation Center. Patrick is admitted to practice law in the commonwealth of Pennsylvania. His practice focuses on labor and employment law, as well as workers’ compensation law. Patrick also serves on the Board of the Greater Pittsburgh Chapter of the American Civil Liberties Union. Patrick enjoys traveling, being outdoors, and he is an avid Pittsburgh sports fan.